July 6, 2017, 12:23 p.m.
Google isn’t letting its little $2.7 billion slap on the hand from European antitrust regulators dissuade it from funding more journalism projects in the region. At a conference in Amsterdam today, Google’s Digital News Initiative announced the 107 recipients of its latest $24 million (€21 million) round of funding. Notable projects in this latest round include Jimmy Wales’ WikiTribune (which is getting $439,000), a transcription, translation, and voiceover platform from German broadcaster Deutsche Welle ($498,000), and the Open State Foundation, a Dutch effort to create a realtime database of politicians’ stances. Germany and the U.K. topped the rankings, with projects in the countries getting $4 million and $3 million, respectively. Having dished out $83 million so far, Google is almost halfway through its $171 million commitment to Europe’s news industry. Google pointed out a few noteworthy trends in the projects that applied for funding in this round. Fact checking, investigative reporting, VR and AR were all more popular than in the previous round. The same, too, for collaboration: Just about half of the projects being funded involve collaboration across organizations in multiple countries. Google also released a report today detailing the impact of some of those previous projects, which you can find as a PDF here. It also announced that its fourth, monetization-focused round will open up in September. Bilton, Ricardo. "Google is putting another $24 million into 107 more European journalism projects, including WikiTribune." Nieman Journalism Lab. Nieman Foundation for Journalism at Harvard, 6 Jul. 2017. Web. 19 Apr. 2019. Bilton, Ricardo. 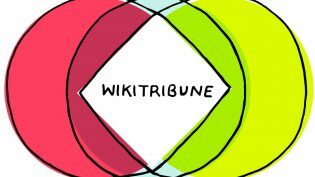 "Google is putting another $24 million into 107 more European journalism projects, including WikiTribune." Nieman Journalism Lab. Last modified July 6, 2017. Accessed April 19, 2019. https://www.niemanlab.org/2017/07/google-is-putting-another-24-million-into-107-more-european-journalism-projects-including-wikitribune/.